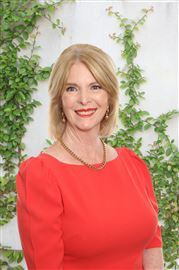 With 13 years in the industry and having moved house 18 times in 40 years of marriage, Pauline Lancaster is an experienced sales consultant who knows the industry from both sides – as a buyer and a seller. Her heritage from an Irish, English and Scottish background shows the best attributes of all three, making her more than capable of negotiating sales to a fruitful outcome for all. She has always lived and operated in the central Auckland suburbs through Ellerslie, Greenlane, Remuera and Mt Eden, but it is the mature, family orientated suburb of Epsom where she is best known. Not only does she feel at ease selling the million dollar plus homes, whether old or new, she understands the concerns of residents when they are moving house. Hers is an exceptionally personalised service – quality not quantity. Mindful of her client’s need for absolute discretion and security, she is always present when prospective buyers visit their property. Her sense of community; the local groups, knowledge of school zones, cafes, garden centres and where to have your car serviced ….. is outstanding. A more persuasive advocate for the area you could not find. To Pauline, a high level of honest and regular communication is vital. After every inspection at open homes, clients receive verbal and written feedback. Throughout the sales process, she responds promptly to queries along the way by phone, email or face to face. Her successful marketing strategy relies on a team approach. Together they work out with Vendors how best to present the home, when the sun shines best, and how garden looks through the seasons. Sometimes with the help of homestagers, gardeners and a professional photographer the collective effort works to the client’s best advantage. In a busy market, Pauline ensures each property stands out from the clutter of advertising. Each home has a unique theme attached to target just the right buyers and achieve the outstanding results she is known for. People remember her open homes – known for her energy and delicious cupcakes! With all her extra attention to detail, no wonder she has a 98% success rate for her auction campaigns, selling under only 30 days on the market consistently. Pauline succeeds because she goes well beyond the call of duty for her clients. She is known as the agent with heart. Her caring approach extends well beyond the sale date. So it’s no surprise she earns a good share of repeat business. Referral business to friends and family is especially valued. Pauline also believes in giving back to the community that supports her, and is currently committed to the YWCA Future Leaders Program encouraging teenage girls to achieve their goals with mentoring support while at school. In fact, Pauline’s approach epitomises the Harcourts core values: Putting People First, Doing the Right thing, Having Fun and Laughter and Being Courageous. So nice to come home to!